Creating a business plan is your best way to ensure that you know who you are and where you want to go with your business. But putting together a good and detailed business plan is not an easy task and requires a lot of resources, time and dedication and, of course, monitoring. After having it completed, you'll need to review your business plan to make sure it actually matches your business goals with the help of setting some time aside, giving yourself a reality check and seeing what are some of the things you should be getting rid of. When creating a business plan, we’re usually full of excitement, enthusiasm and optimism. As an entrepreneur, it’s on our mind non-stop thinking about what we’ll create and how we’re going to make it happen. In fact, this should be the first thing a business owner thinks of when wanting to start a business. A few years ago, we received a phone call from an enthusiastic young woman wanting to open a cake shop. She had a location picked out and was going to put a deposit down for a lease, but she had no experience running a business. She had no idea where to start. She called in looking for help and for someone to assist her with her business plan. Two years later, and she has a thriving retail business with 3 cake shops around Sydney and all of this because she started her business with the right tools and resources. 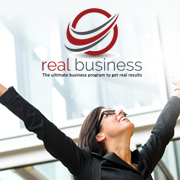 She succeeded because she had a solid business plan and her goals were crystal clear. As we progress through the year, it’s not unusual for a business owner to get busy and lose focus on their goals. It’s important to take time out and review your business plan on a regular basis. Revisit your vision, remind yourself why you went into business in the first place and see if you are kicking your goals. Not too long ago, I heard on the radio that some woman spent three days planning what they were going to do on the weekend... and this really got me thinking. We spend so much time planning our Saturday nights, how much of this time and effort are we putting into planning? When you think about it, if we put three days every week or every fortnight or even every month just planning where would your business be? You see, the biggest challenge is that most people don’t have plans. And the problem with that is, if you don’t have a plan, where are you going? Here are 7 steps to help you review your business plan. If you’re like most business owners you may get bogged down with the day-to-day operation of your business and put your plan on the back burner. It’s paramount that you schedule time in your diary to review your plan. I suggest you review the KPIs in your plan on a weekly basis and review your overall plan every month. Sometimes when you create a plan you’ll overestimate what you can do in a given timeframe. Make sure the targets you have set are realistic. As you review your plan, check to see whether or not you have achieved set sales, profit and other key targets as planned. If you haven’t achieved a target, ask yourself if it is realistic and adjust as necessary. On the other hand, if you’ve smashed your targets, revise the remainder of the plan accordingly. Identify the strategies that have performed well and those the ones that have not been working at all. One of the keys to business success is investing your time in the areas that are going to give you the best results. Review each of your strategies and stop doing what doesn’t work and scale up the strategies that have been delivering great results. Assembling a team of trusted mentors and advisers to meet with you on a regular basis is a great way to get an outsider's perspective when reviewing your plan. It’s good to include your accountant, business coach or advisor and any mentors you may have. Take time to review the budget you initially set when creating your business plan. Identify the areas in your business that have cost you more than expected and work out why. This is a great opportunity to identify your most profitable products and services, so you can focus your energy on increasing sales in these areas. It’s important to be able to track your progress on your business growth journey. Key performance indicators will help you identify whether or not you’re on track. At the very minimum, you should be tracking KPIs for your marketing, sales and profitability. As an entrepreneur, it’s easy to get distracted by other opportunities. Make sure that you have not included too many different things to focus on in your plan. You’ll make it difficult for you to complete anything and you may lose interest in what you initially set out to achieve. What needs do we satisfy? And how much will it all cost and generate? Knowing where you are going is the key to getting there… take the time to get this right and you will achieve far more. Here’s my simple message to you. If you’re struggling with planning, if you’re not sure how to put a plan together for you and your business, then your next step should be to find a business plan template that works for you and get some guidance on how to plan. If you find a coach or a mentor that can help build a solid business plan with your goals chalked out, then you increase your chances for success. Ben Fewtrell, Co-Founder and Managing Partner at MaxMyProfit and author of the Business Exceleration™ Blueprint, is a sought-after advisor, keynote speaker and trainer. He has been featured in ‘Secrets of Top Business Builders Exposed’, Virgins in-flight magazine and in-flight entertainment, Sky Business and many more. Ben is also the host of the popular Business Brain Food Podcast.